Ken Younger- lead guitar and vocals. 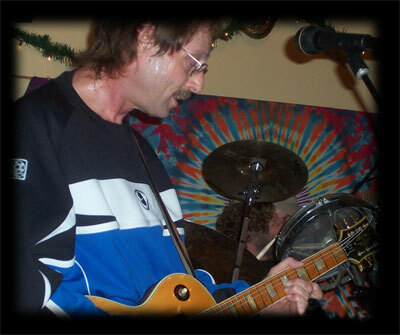 Originally a founding member of the group, Ken continues to be heavily inspired by the Grateful Dead. Ken started playing guitar just out of high school in 1975, and by 1977 his first band Magnum was regularly playing at the Mabuhay Gardens during the punk era. Through the years he played in numerous other rock bands and recorded an album with The Hunger. 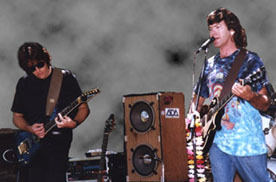 In 1995, he and Bill Desmidt founded The Dead Guise. Ken has been the with the Dead Guise and various spin-offs since that time. In 2012 Ken produced and released an album of original music called Paradigm. 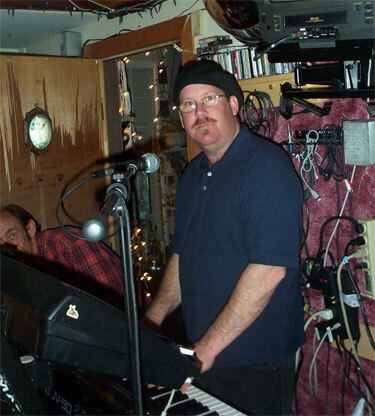 Michael Mares (keys / vocals) has been active in the Bay Area music scene for over twenty years. 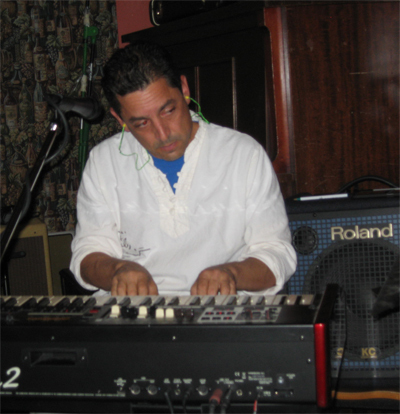 He earned a percussion degree from Cal State Hayward, and currently teaches Orchestra and Chorus class in San Rafael, where he has continued to develop his keyboard and piano skills. 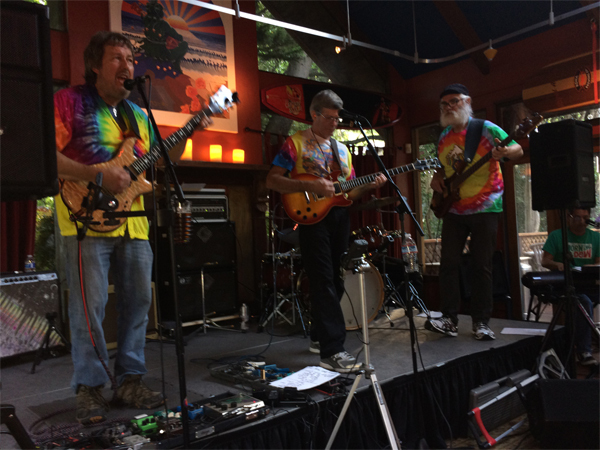 It has been a dream of his to fill the keyboard spot in a Grateful Dead tribute band, and he believes that it's the best music in the world for both playing and dancing. Wolf Bostedt (bass) began as a piano and trumpet player, but in his teenage years he switched to bass (though he still plays trumpet) after being exposed to the 60s and 70s music scene in San Francisco. 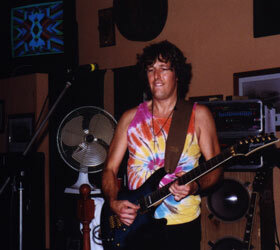 He frequently saw bands such as the Grateful Dead, Hot Tuna, and JGB, and a conversation with Jerry Garcia in 1975 at a local music shop had a huge impact on his playing. 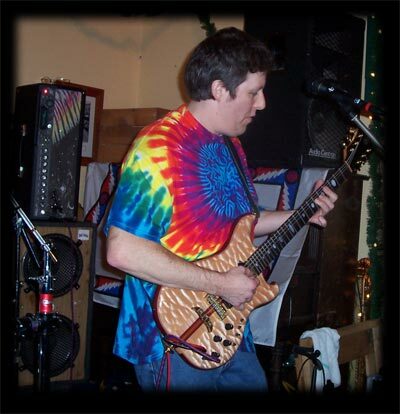 He has played in bands of many genres over the years, and his influences include Phil Lesh, Jack Casady, John Kahn, Jaco Pastorius, Berry Oakley, John Paul Jones, Mark Egan, and Michael Manring among others. Interaction and creating spontaneous music with fellow musicians are his fortes. Wolf plays Alembic Bass Guitars, which represent his ideal sound. Kyle Walsh (drums) has played drums since he was eleven years old. 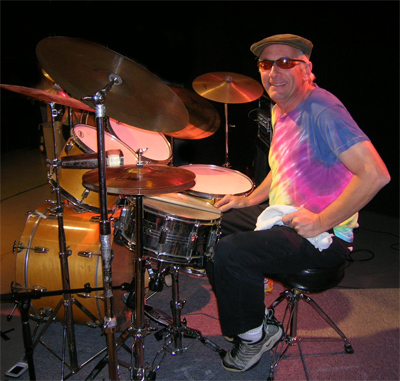 In his playing style, he seeks to capture the original late 60s / early 70s Bill Kreutzmann sound jazzy, groovy, and playful. He is also inspired by the linear funk of Billy Cobham and the ambidextrousness of Jon Fishman and Joe Russo. Though only three years old when The Grateful Dead disbanded, he is excited to carry the torch for a new generation of improvisational musicians. 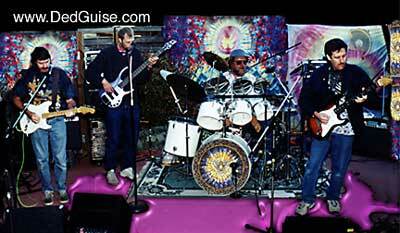 The Dead Guise (formerly Ded Guise) was conceived in the fall of 1994, when Ken Younger, Bill Desmidt and Dan Albers got together for a friendly jam session. 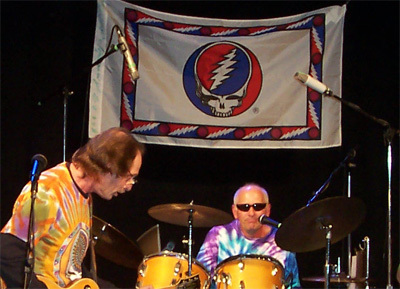 After ripping up “The Other One,” and “Dark Star,” the three decided to form a Grateful Dead tribute band. 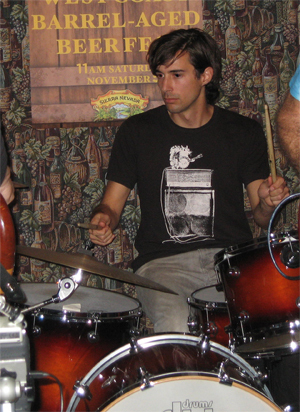 Dan brought in a jazz drummer Dan Cuervo, and the early days were spent playing live at Abernathy's in Walnut Creek, California. 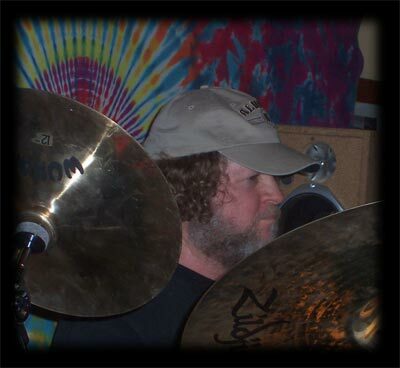 Cuervo left after a year for other endeavors, and a following a brief transition period, Kenny Meagher joined the band on drums. 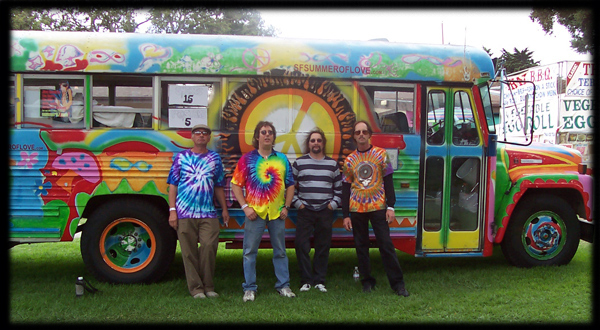 Kenny was a perfect fit and they thrived for the next few years playing parties and gigs in the East Bay. They routinely hosted the Annual Jerry Garcia Memorials located in San Leandro, Livermore and Hayward, and played various bars and parties in the East Bay. 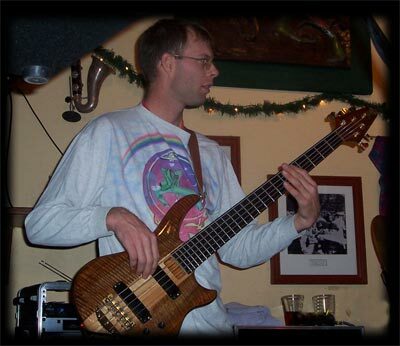 In the Fall of 1999 Jeff Faust replaced Dan Albers on bass and the band continued to take off, playing in Santa Cruz at the Brookdale Lodge and in Placerville at the Grateful Bear Ranch and the Fairgrounds. In the fall of 2004 the Guise finally stumbled upon a keyboardist, James Miller. 2005-2007 saw many changes, as Kenny Meagher went on to other endeavors and was replaced by Steve Sunderbrach. 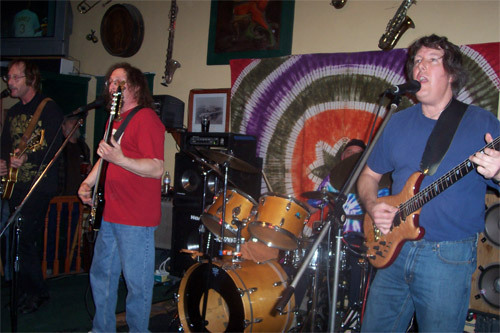 Jeff and James left the band in 2006 and out of the blue Mike Marino showed up to take over on bass. 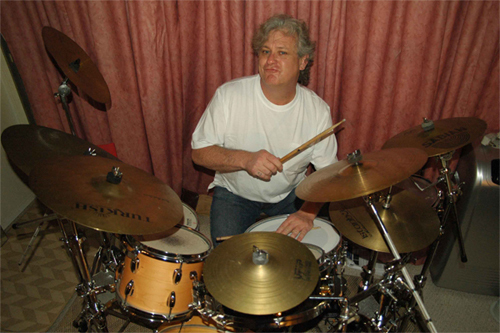 Stevo left the group at the end of 2007, and by April 2009 they were back to a quintet with Bob Sicotte on drums and James Miller on keys once again. In 2012, Michael Mares and Mike Meagher took over on keys and bass, respectively. 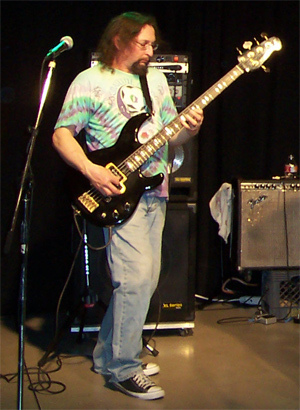 When Meagher had to tap out due to being in six bands at one time, the band found Ralph Anastasio, who had just relocated from the east coast. Ralph sang a killer version of Whipping Post, and they started to play some originals and classic rock tunes, even creating a side project called One Big Dumb Guy, while continuing to play under the name The Dead Guise as well. 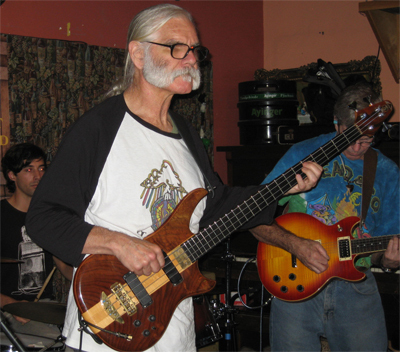 In 2014, Ralph moved to Florida and a short hiatus ensued until 2015, when Michael Mares, Kenny Meagher, and bassist Wolf Bostedt held a jam in Oakland. The three hooked back up with Ken Younger, and Bill Desmidt joined again as the rhythm guitarist in spring 2015 after his band Rocktapus broke up. They reformed as Easy Wind, and played a few gigs in 2015 and 2016 and under that name. When Kenny Meagher left again in 2016 to focus on his own originals, it seemed the band might reach another standstill. But in fall 2016, Michael and Wolf introduced drummer Kyle Walsh to the band after the three had been playing together in Michael’s side project Turpentine Remedy. 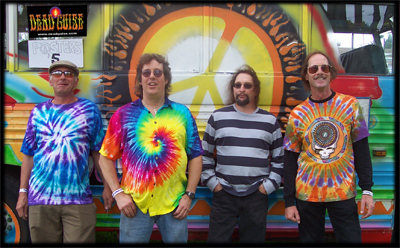 To avoid confusion with another band called Easy Wind, the five current members decided to revive the name The Dead Guise in 2017. The Guise is now humming along once again, with multiple gigs on the horizon in Hayward and Santa Cruz throughout 2017. With the 50 year anniversary of the summer of love upon us, they are going back to the early roots of the Dead to recreate that iconic sound we all know and love. Ken & Bill play a backyard party in 1995. Prehistoric Guise: Clockwise: Ken Younger, Dan Albers, Kenny Meagher, Bill DeSmidt.